I understand that you would like to connect to your Aurora instance from your EC2. Alternatively, install mysql client directly from the mysql repositories (https://dev.mysql.com/downloads/). Please note that these are mysql community repositories and are not maintained/supported by AWS. Add to aurora parameter group – aurora_load_from_s3_role- the ARN of the role with s3 access, and reboot the Auroroa DB. To start with, we first need to create an execution role that gives your lambda function permission to access AWS resources. 2. Choose Roles from the left dashboard and select Create role. 5. Provide a Tag and then a Role Name (ex. lambda-vpc-role) and then Create Role. The AWSLambdaVPCAccessExecutionRole has the permissions that the function needs to manage network connections to a VPC. * In Name*, specify your Lambda function name. * In Runtime*, choose Python 2.7. * In Execution Role*, choose “Use an existing role”. * In Role name*, enter a name for your role which was previously created “lambda-vpc-role”. 5. Once you have created the lambda function, navigate to the function page . 6. In the function page, Under Networks Section do the following. Next you will need to set up a deployment environment to deploy a python code that connects to the RDS database. To connect to a Aurora using Python you will need to import pymysql module. Hence we need to install dependencies with Pip and create a deployment package. In your local console please execute these commands in your local environment. I have attached the file “connectdb.py” which has the Python code to connect to the RDS instance. 4. Next we need to zip current directory and upload it to the lambda function. The above command creates a zip file “rds_lambda.zip” which we will need to upload to the lambda function. 3. Next you in the Function Code Section you will have to change the Handler to pythonfilename.function (ex. connectdb.main). 5. Next you will need to Add the security group of the Lambda Function in your RDS Security group. 6. After that test the connection, by creating a test event. If you see that the execution successful then the connection has been made. Followed by successfully establishing the connection, you can modify the python file to query databases inside the Aurora instance. Consequently, I created a meetup detailing all the challenges of Big Data, especially in the world of cloud. I am using AWS & GCP and Data Center infrastructure to answer the basic questions of anyone starting their way in the big data world. how to transform data (TXT, CSV, TSV, JSON) into Parquet, ORC,AVRO which technology should we use to model the data ? EMR? Athena? Redshift? Spectrum? Glue? Spark? SparkSQL? GCS? Big Query? Data flow? Data Lab? tensor flow? how to handle streaming? how to manage costs? Performance tips? Security tip? Cloud best practices tips? 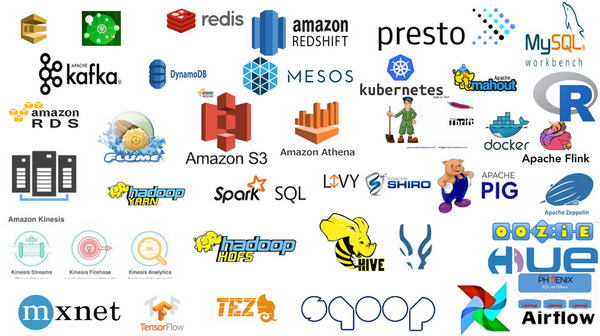 In this meetup we shall present lecturers working on several cloud vendors, various big data platforms such hadoop, Data warehourses , startups working on big data products. basically – if it is related to big data – this is THE meetup. Personally, I have been waiting for over a year to host this lecture at our meetup. At the time in Walla News , I wanted to test drive their solution to accelerate Hive and spark SQL over s3 and external tables. if you are into caching, performance, and and unifying your multiple storage solutions : GCS, S3, etc, You might want to hear the wonderful lecturer Bin Fan, Phd , Founding Engineer and VP open Source at Alluxio. This Post will be update soon more! stay tuned. for now, you are welcome to join our meetup. Serverless is the new kid in town but lets not forget data which is also critical for your organisation, in this talk we will look at the benefits of going serverless with your data pipeline, but also the challenges it raises. This talk will be heavily loaded with demos so watch out!